It was a slow weekday when I found myself curled up in bed watching Unique Sweets reruns on the Cooking Channel. I only just discovered the show a couple months ago and it has now been one of my favorites on the network. 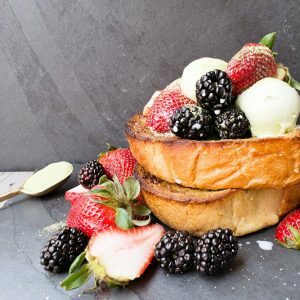 It features exactly what the title describes, unique sweets around the United States from cakes to brittles to cupcakes to ice creams. In one particular episode, the show was highlighting an ice cream shop in the South that had differently flavored waffle cones. Unfortunately, my memory is a bit foggy on what the eatery was called and what flavors they carried, but I remember it looked darn impressive! 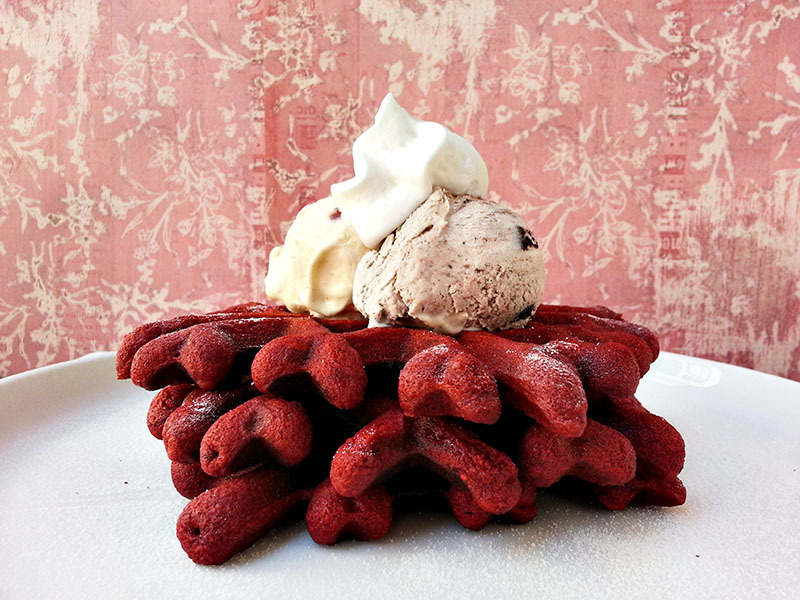 A couple weeks ago, I attempted to make my own flavored waffle cone using a red velvet batter. 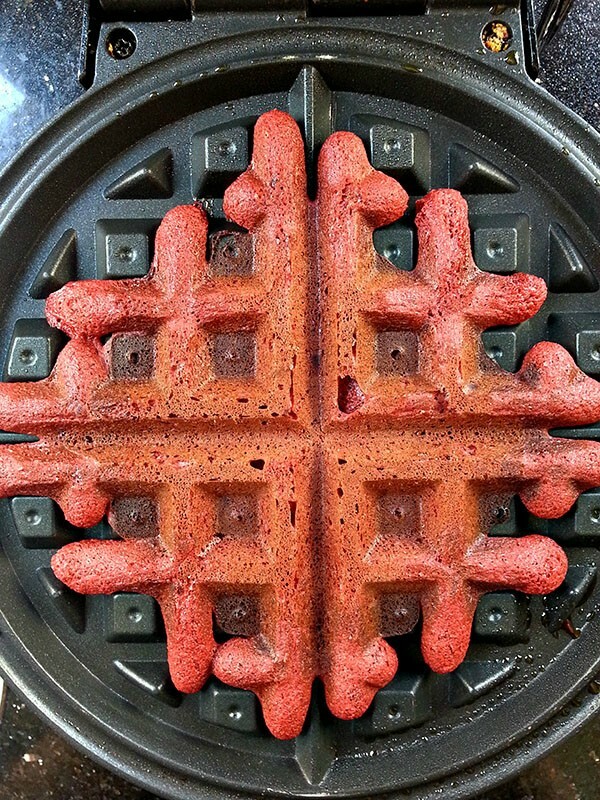 I was so excited to try this new method that the fact that I did not have the right waffle iron or the right batter did not cross my mind until I actually attempted it. 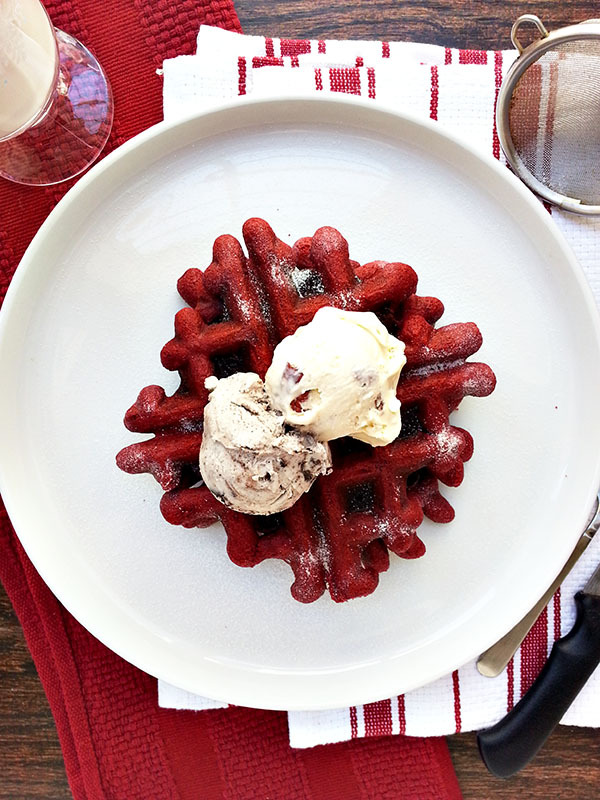 What came out what not exactly a waffle cone…but red velvet waffles! Some creations are mistakes and this is one of them. 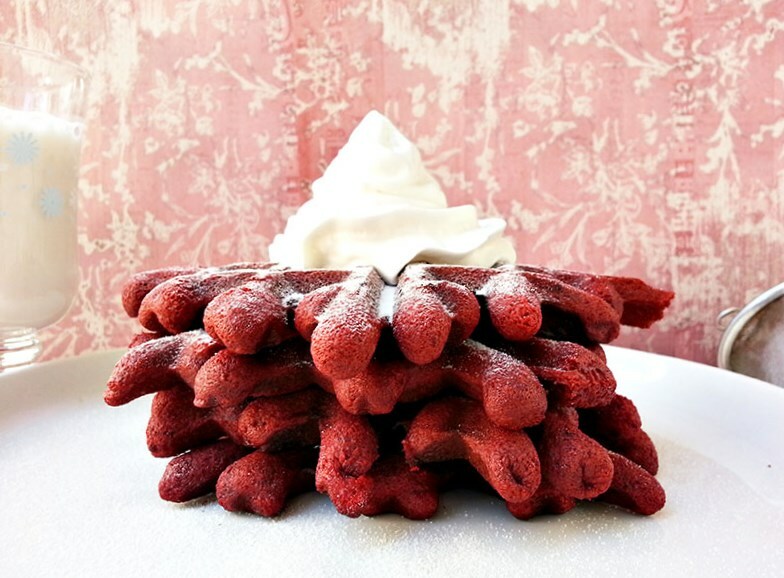 They weren’t exactly what I was trying to make but these red velvet waffles are still insanely delicious! 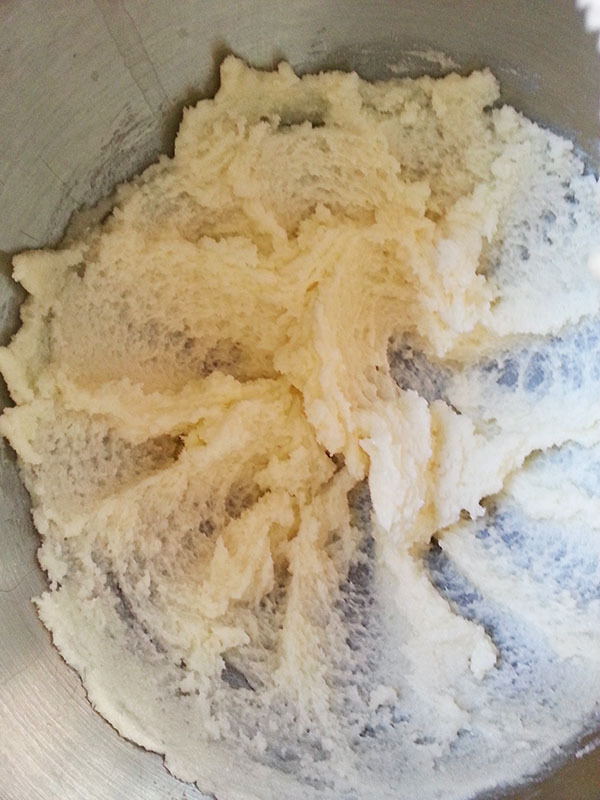 Combine butter and sugar in the bowl of a stand mixer. Beat until the mixture becomes light and fluffy about 5 minutes. Add the eggs one at a time until well combined. Add sour cream, milk, food coloring, and vanilla and stir until combined. Mix dry ingredients (flour- salt) in a bowl. Slowly add flour mixture to the wet mixture and stir until just combined. Heat waffle maker to medium-high. Spray with cooking spray and scoop 1/2 cup batter in the center. Close the lid and cook waffle until steam no longer escapes and the waffle has set. Carefully remove waffle from the maker and let cool slightly on cooling rack. Repeat with remaining batter. 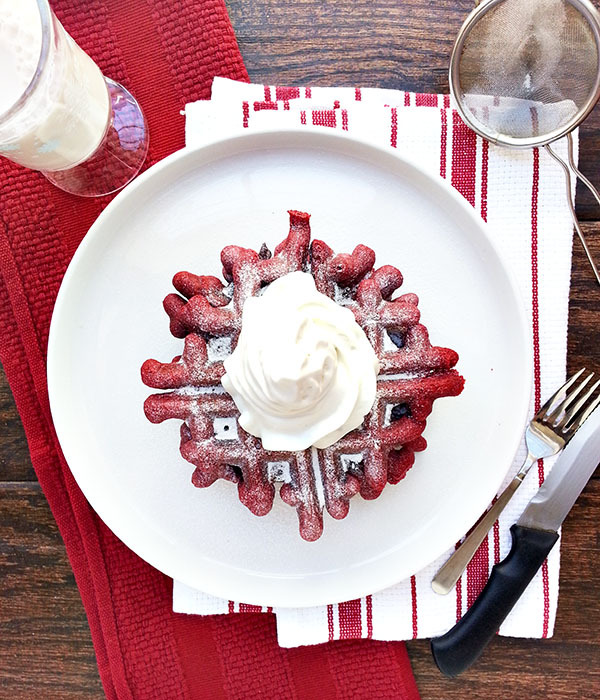 Serve waffles with whipped cream and powdered sugar or ice cream. I’ve never been a fan of red velvet cakes because the red food coloring flavor is stronger than any other flavor in the cake. That is until I discovered the secret ingredient: cocoa powder. The addition of cocoa powder in the batter makes these a little chocolaty and that much more delicious. Just like other cupcake recipes, you want to start by creaming together the butter and sugar. 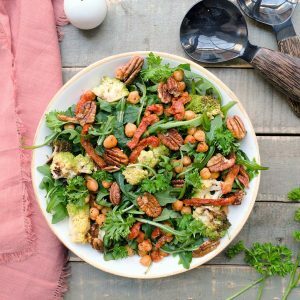 Beat the mixture together until creamy and light. 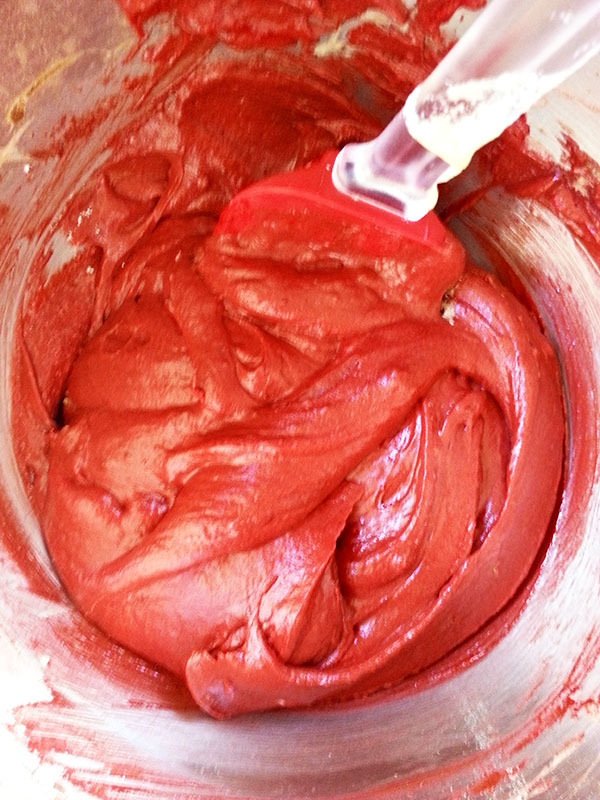 The batter should be thick and a vibrant red. 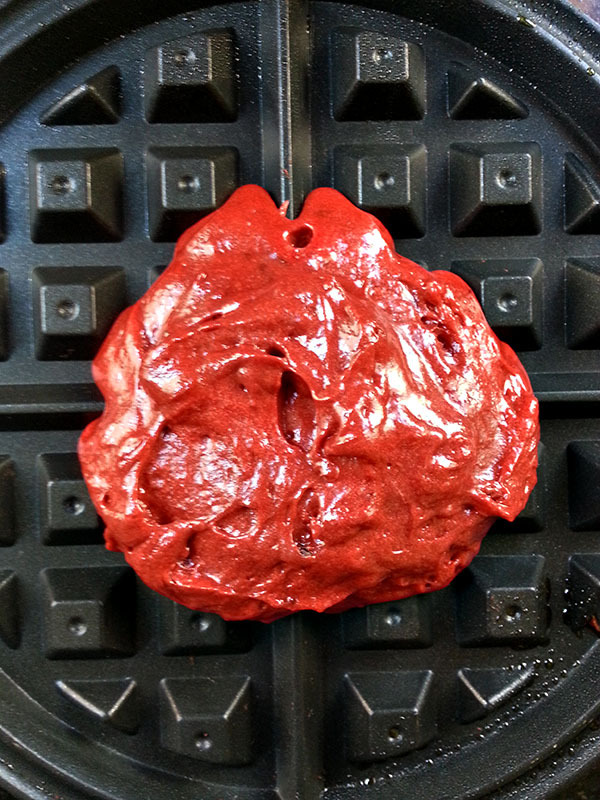 Scoop about 1/2 cup batter in the center of your waffle maker, close and cook until there is no more steam. Carefully remove the waffle from the waffle maker. The waffle will be delicate especially when hot; if it’s easier, wait until the waffle slightly cools before removing. 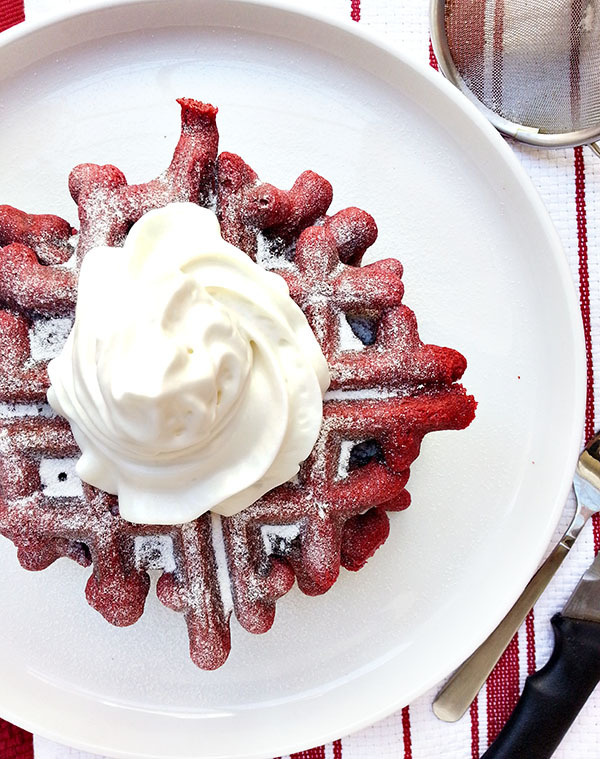 These red velvet waffles are something else! When served warm, they take on more of a cake-like texture but when frozen, they become almost crispy. These waffles freeze well and taste even better when toasted straight from the freezer. 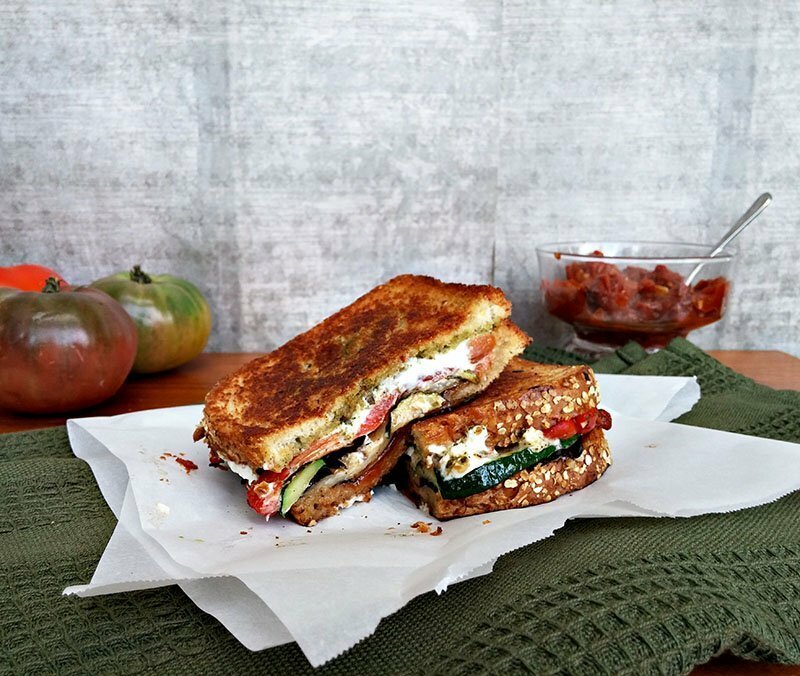 Top with whipped cream or ice cream for an indulgent breakfast or dessert. I wonder what other cupcake batters can be transformed into waffles…time to experiment! Utterly decadent and beautifully photographed! Great job! Sometimes the best things come out of mistakes!